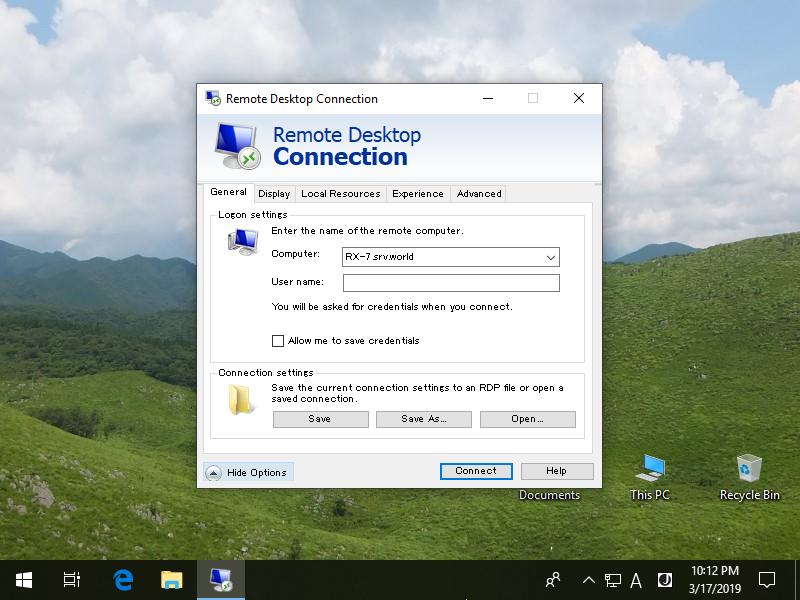 This is how to connect to Remote Desktop session from Client OS. This exmaple is on Windows 10. 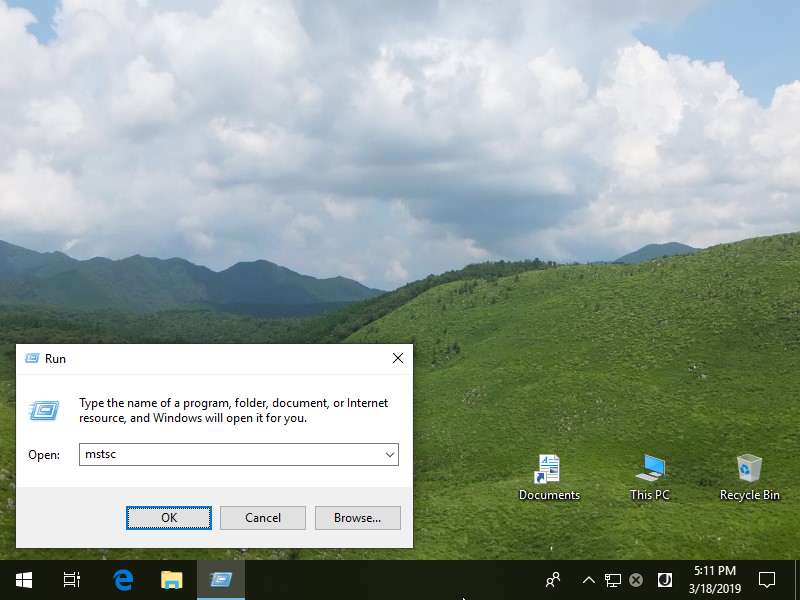 Right-click Windows icon and open [run] and input [mstsc] like follows. 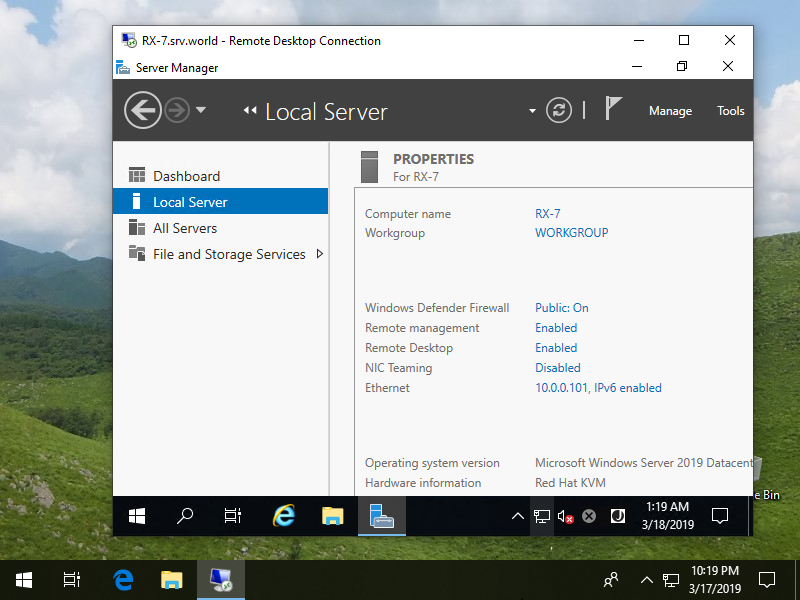 Input Hostname or IP address you'd like to connect and click [Connect] button. For other sections, change or set any parameter you like. 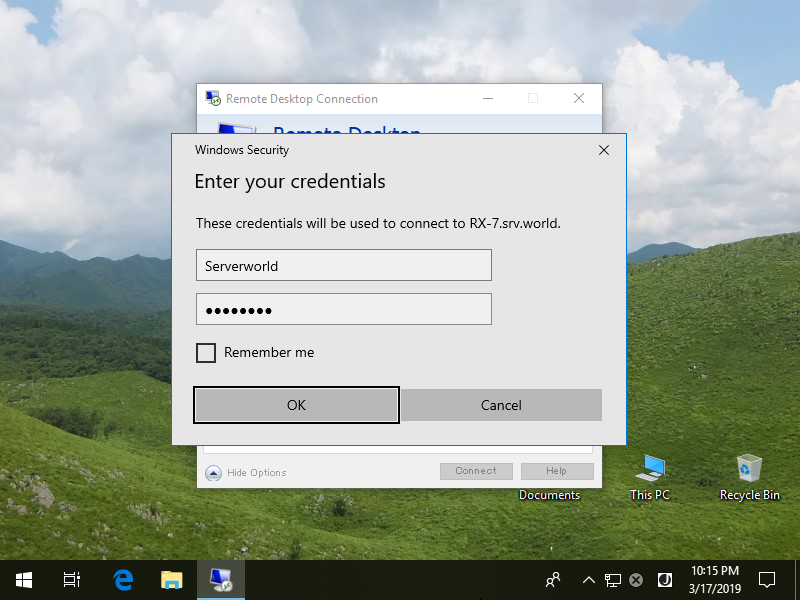 Input Username and Password you'd like to logon as. 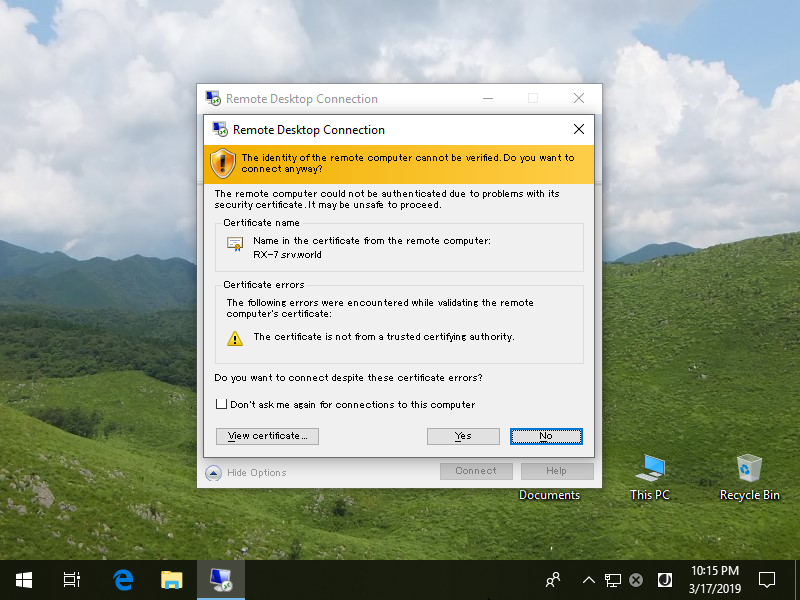 The message for Certificates is shown like follows. Click [Yes] to proceed.